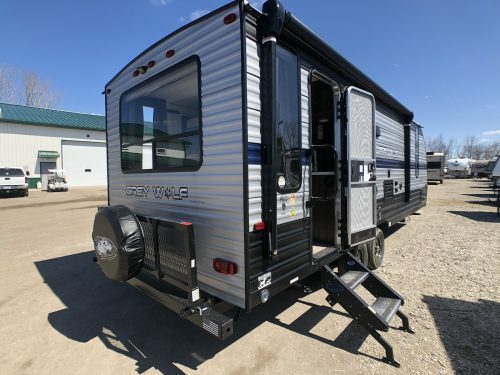 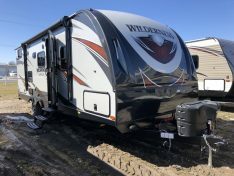 The Cherokee Grey Wolf 23MK is a rear living one slide out couples coach. 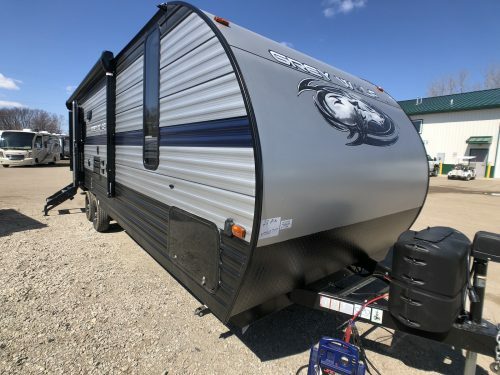 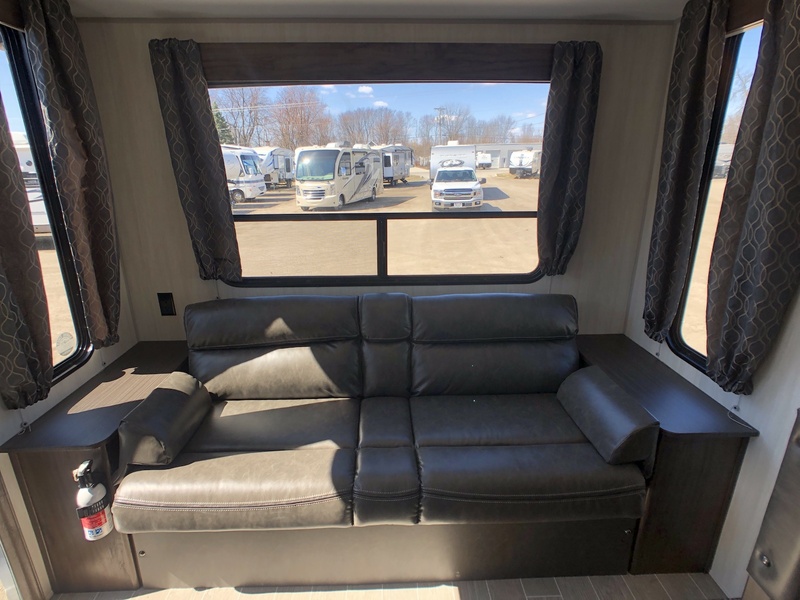 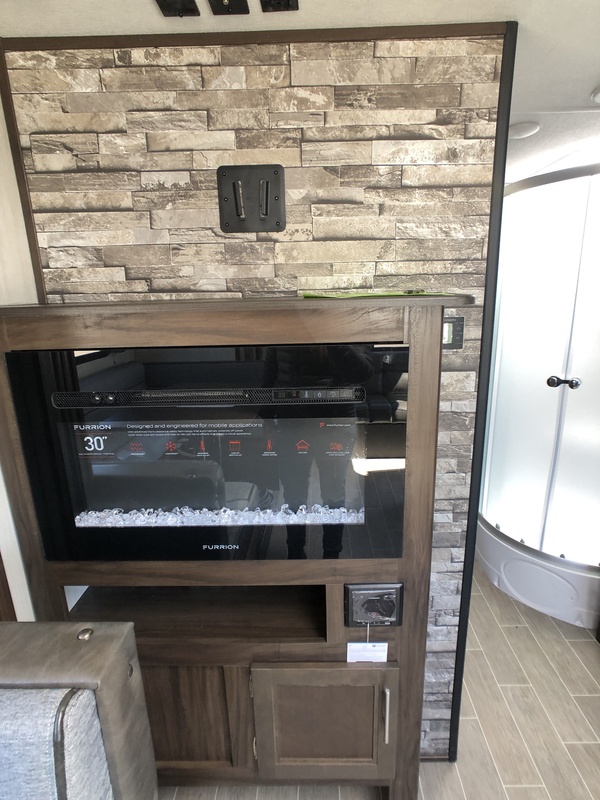 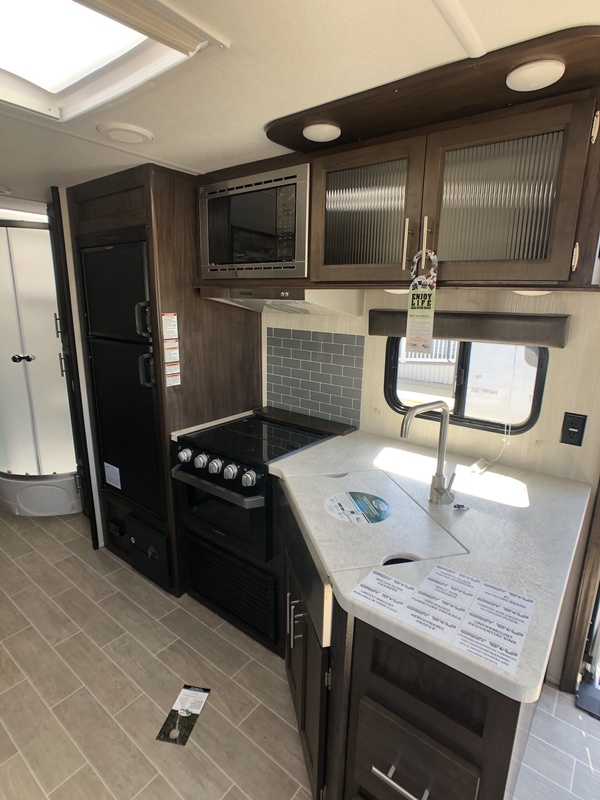 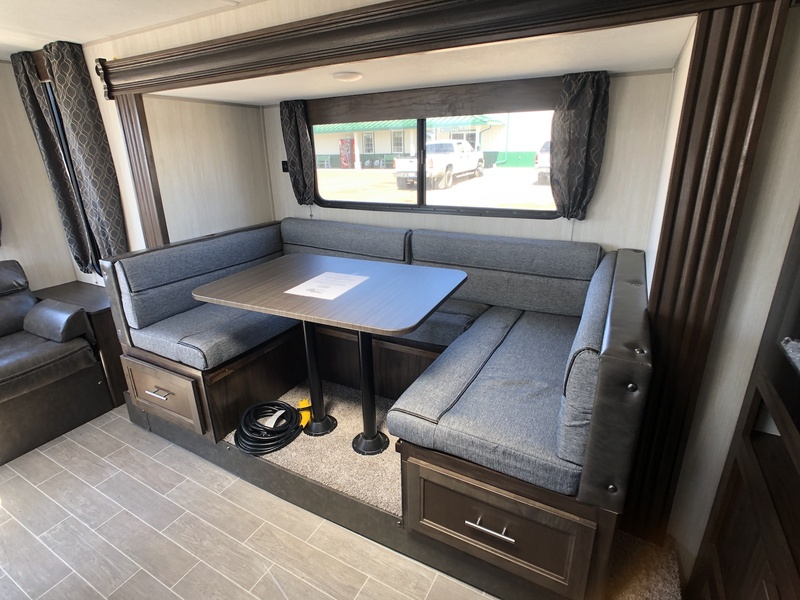 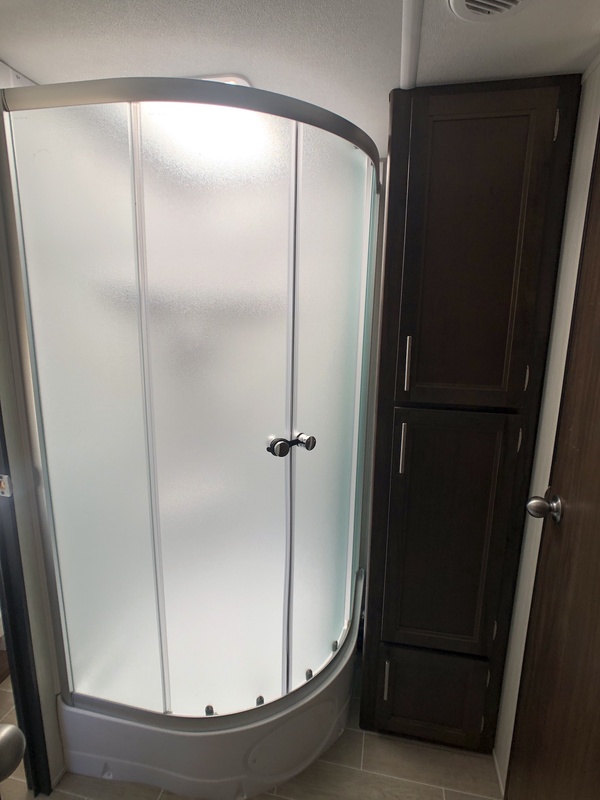 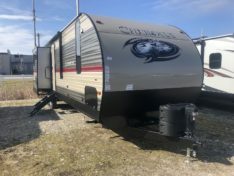 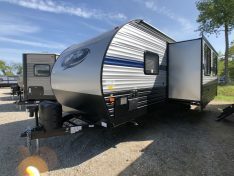 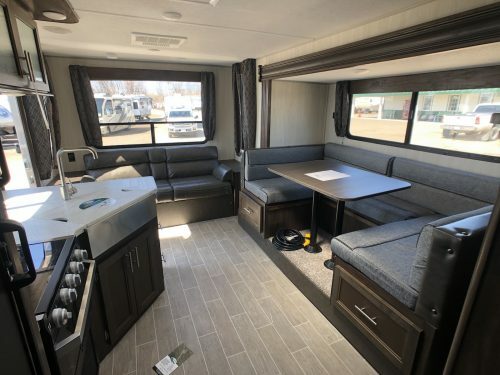 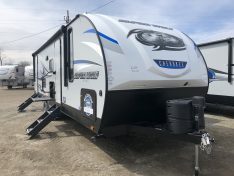 You enter the 23MK in the back, when you step inside to your left is the sofa, then you have the u-shape dinette slideout across from the slide is the full kitchen, with a single bowl sink, 3 burner cooktop and 6 cu ft Refer. 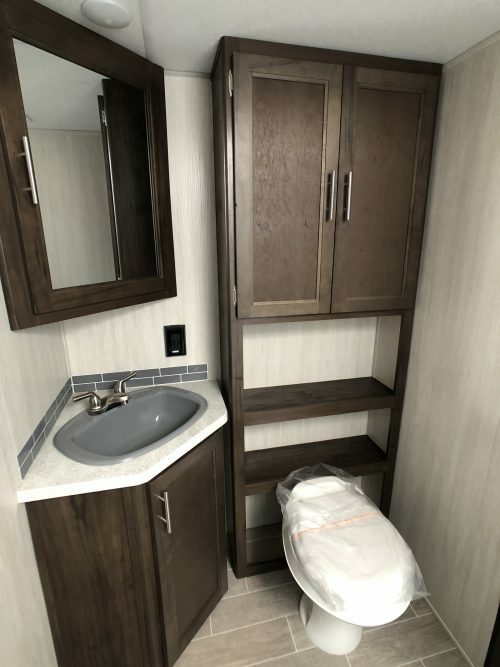 The bathroom is located in the center of the 23MK with a glass corner shower, foot flush toilet and plenty and space. 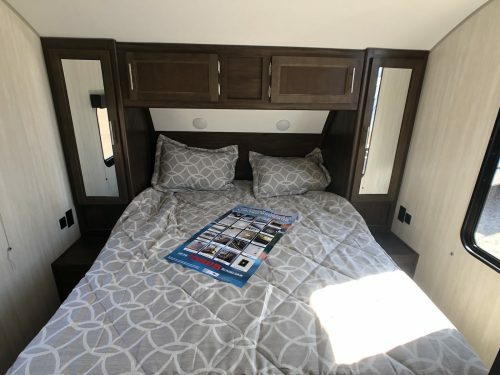 In the Master bedroom you will see a queen walk around bed and wardrobes on each side.On the outside of the 23MK this grey wolf has a power awning with LED lights, outside speakers, front power jack and more.